There’s no snow yet, but holiday shopping season is fast approaching. And the big technology companies are busy releasing new products as they battle to prove theirs is the must-have gadget for 2017. Apple Inc. (NASDAQ:AAPL) will be tempting consumers with a range of new products, including the iPhone X, while game consoles will be hotter than ever. The smart home is expected to see a slew of new products, smartwatches are going to be a big category and drones will be tempting buyers. Even tablets are making a comeback. With so many to pick from, how do you know which high tech products are going to be high on everyone’s wish list? To help you out, we’ve put together a gallery of what are shaping up to be 10 of the best gadgets for the the 2017 holiday shopping season. We’ve been waiting several years for Apple to introduce its take on the smart speaker. 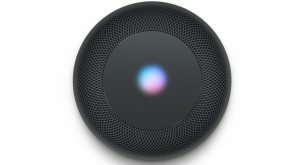 With Siri continuing to improve, Apple Music growing in popularity and its ownership of Beats Electronics, a competitor to Amazon.com, Inc.’s (NASDAQ:AMZN) Amazon Echo was only a matter of time. On Dec. 1, Apple is releasing the HomePod, its new smart speaker aimed at audiophiles. The $349 HomePod features seven tweeters, a woofer, 360-degree audio and multi-speaker configurations. Look for this stylish, high performance smart speaker to be in high demand this holiday season. For those who want a wireless speaker they can take with them, Ultimate Ears is building a reputation for making some of the best portable Bluetooth speakers around. 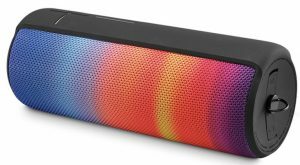 The $300 UE Megaboom combines two 2-inch drivers and a pair of 4-inch passive radiators in a compact cylinder that offers powerful 360-degree audio and 20-hour battery life. Even better, the Megaboom is rugged, waterproof, offers Siri and Google Now voice support and it comes in a variety of eye-popping color combinations. Vinyl continues its unlikely popularity streak, remaining the physical media of choice for those who buy their music. That means turntables are once again among the hottest gadgets this holiday season. I’ve reviewed a number of turntables this year and from my perspective, one of the best bets for someone who’s collecting records and wants to graduate to something above the entry level — without dropping audiophile dollars — is the Crosley C20. 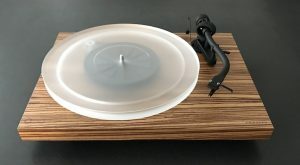 It looks fantastic thanks to a Zebrano wood veneer deck, it uses high quality Pro-Ject components and it includes an Ortofon OM10 cartridge. At $559, it’s a solid choice that will make records sound great while offering an upgrade path if the collector gets serious. Without a doubt one of the most popular 2017 holiday gift choices is going to be wireless headphones. But which ones to choose? I’m going to suggest a high tech option that goes a different direction than the current fixation on earbuds and Siri integration. The AfterShokz Trekz Air wireless, bone conduction sports headphones. Based on futuristic bone conduction technology originally developed for the military, these wireless headphones sit on your cheekbone instead of in your ears, transmitting sound waves through solid bone to your inner ear. 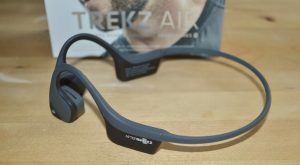 Trekz Air are the latest generation of these AfterShokz headphones. They’re incredibly light, sweat and water resistant, last six hours on a charge, have no wires, they’re more comfortable than earbuds and they leave your ears open to hear ambient sound — like approaching cars. They’re a big hit with the fitness crowd and they’re sure to please as a gift. Unless you reserved one early, you probably won’t get delivery of a Tesla Inc (NASDAQ:TSLA) Model 3 until 2018. 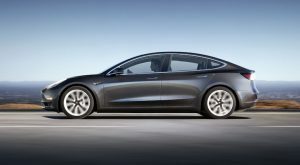 But if you have the cash and the person you’re buying for is willing to wait, the Tesla Model 3 is one of the hottest gadgets on wheels. 220 miles on pure battery power, 0-60 in 5.6 seconds and a 15-inch touchscreen control panel for $35,000 — minus incentives. It’s expensive, but give one of these as a gift and you’ll make someone’s day while earning yourself a little green cred. Is there someone on your shopping list who already owns a 4K TV and loves gadgets? 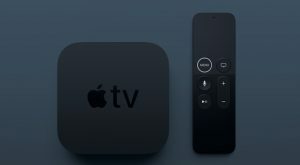 The all-new Apple TV 4K would make a great gift. Starting at $179, this is the streamer that Apple fans have been waiting for. It supports 4k Ultra HD video and also HDR content. An Apple A10X Fusion chip makes it an even better gaming machine and the Siri remote is also improved. Best of all, Apple negotiated a sweet deal with most studios for 4K movies on iTunes. They’re the same price as HD versions, and Apple will even upgrade existing movie purchases to 4K streaming for free. The LG OLED65W7P made our list of the best 4K TVs for 2017 and it would make a excellent gift choice for someone who loves watching video. Especially if you paired it with that Apple TV 4K. This 65-inch flatscreen is packed with all the latest video and audio technology. The panel is OLED for pitch blacks and vibrant colors, while measuring just a fraction of an inch in thickness. 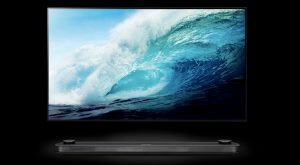 4K video is made even better with Dolby Vision HDR and Dolby Atmos audio. The winner of multiple CES 2017 awards, this LG TV usually goes for $7,999, but LG is currently knocking it down to $6,999. GoPro Inc (NASDAQ:GPRO) has a new HERO6 action camera coming out just in time for the holidays, but when it comes to the best gadgets for tech fans, look to the company’s Karma drone. Last year, the Karma was a dud, literally falling out of the sky. But GoPro fixed the issue and its compact folding drone is now hot, taking second place in U.S. drone sales. 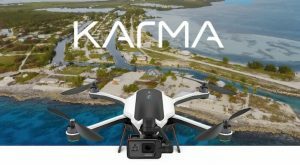 If you have $800 in the budget and someone who loves gadgets to buy for, the GoPro Karma drone should be an easy win. When it comes to the best gadgets of 2017, there’s a good case to be made for Nintendo Co., Ltd (ADR)’s (OTCMKTS:NTDOY) Nintendo Switch. Since its release in March, Nintendo’s new portable video game console has been tough to find. Stores are constantly selling out. 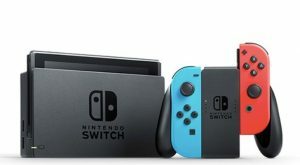 In fact, the Switch has outsold the Xbox One and PS4 in the U.S. for four out of the past six months. Gamers love it and game developers are flocking to the platform. If you’re planning on giving a Nintendo Switch as a gift, you should start thinking about buying one soon. The $300 device is expected to be a 2017 holiday must-have, and that’s likely to mean shortages. As difficult as it may be to find a Nintendo Switch come November or December, there’s one gadget that will make its seem easy in comparison: The iPhone X. Yes, Apple has yet another gadget on this list. The company is on a tear, with a barrage of new products coming out just in time for the 2017 holiday shopping season. And the most expensive — and intriguing — of those is also expected to be in very limited supply. The $999 iPhone X goes on sale Nov. 3 (pre-orders start Oct. 27). 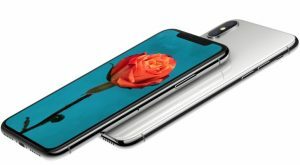 It’s the first iPhone with an AMOLED Super Retina display, it virtually eliminates bezels and the all-glass device trades its Home button and Touch ID for an advanced TrueDepth camera that uses Face ID. It’s also the ultimate iPhone for augmented reality. The iPhone X is a lock to be one of the hottest gadgets of 2017, and it is one of the most sought after items for this holiday shopping season. Good luck getting your hands on one. Article printed from InvestorPlace Media, https://investorplace.com/2017/09/10-hottest-gadgets-2017-holiday-season/.